Reef-building corals are found in tropical and subtropical regions around the world. 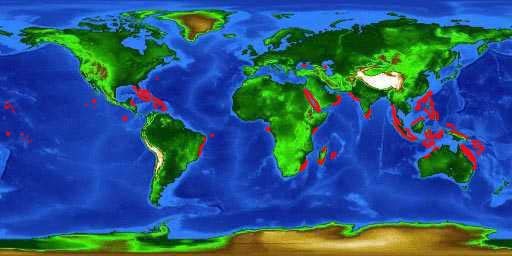 Reef corals are found throughout tropical and subtropical oceans in the Indo-Pacific and Atlantic, normally between the Tropic of Capricorn and Tropic of Cancer (30ºS, 30ºN latitude). However, they also occur outside this range where warm water currents travel outside this band, as is the case where the Gulf Stream Current brings warm tropical water from the Caribbean north to the islands of Bermuda. Florida Reef Tract is the third largest barrier reef in the world. Along the Atlantic coast of Florida, Oculina reefs dominate in the north, transitioning southward to tropical reefs. South and west of Miami, offshore of the Florida Keys archipelago, is the only tropical coral reef found along the North American coastline. This region, also known as the Florida Reef Tract, is the third largest barrier reef system in the world. 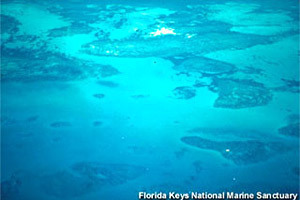 Toward the coastline, these reefs are surrounded by the Florida Keys, Biscayne Bay, and Florida Bay. Moving out to sea from the reef is the Florida Current. 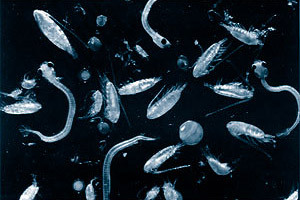 This current brings tropical waters into the area that moderate winter water temperatures as well as large volumes of plankton and larvae-rich water from the Caribbean. Florida Reef Tract: the third largest barrier reef in the world, running from the Miami area southwest to the Dry Tortugas. Florida Current: the segment of current between the Gulf of Mexico Loop Current and the Gulf Stream form the Dry Tortugas to the southeastern tip of Florida, and confined by the 250 meter and 500 meter isobaths.